This adorable home is your perfect beach get-away. Remodeled, updated & well maintained... all you have to do is enjoy! Centrally located between Buxton & Frisco's beautiful beaches. This home has two full master bedrooms, nice open concept, kitchen, dinning, living room & multiple open decks. One of the few homes in this price range that doesn't need anything but you! New HVAC in 2018! 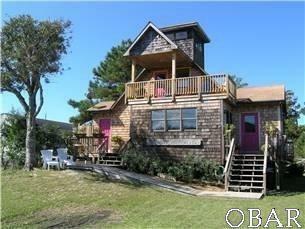 Listing courtesy of Suzie Scholten of Midgett Realty - Hatteras.